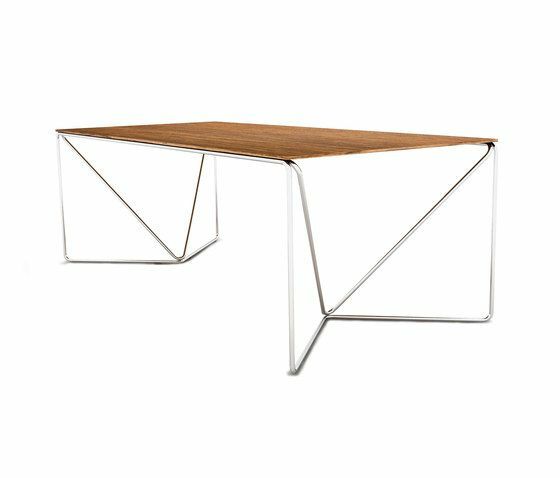 ABSOLUTE table is at once artful and highly functional. A lovely additional to the elegant modern dining room. It is consisted of bended and twisted metal profile frame carrying matt lacquered or natural veneered top. Frame is coated with static paint or shiny or matt chrome.